At California Energy Services, we are total home performance. In fact, we’ve been doing it in El Dorado Hills for over 25 years. What this means is that with any job we do, we bring a building science perspective that focuses on your house as an interacting system. By addressing comfort problems holistically, we increase your home’s energy efficiency, your personal comfort, and reduce your utility bills. Many things have changed over the years, from revolutionary Nest thermostats to new solar panel technology, but our guiding philosophy remains the same: reduce before you produce. What does this means in terms of your house? 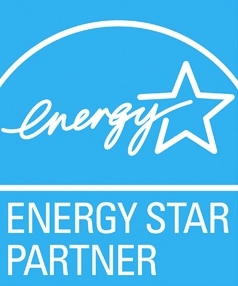 With a proper home energy audit, we can determine your home’s performance and identify the most cost-effective projects that will help you conserve energy and save money on your utility bills each month. Once we have reduced your home’s energy consumption and made your mechanicals as efficient as possible, then we assess your electricity needs and spec a properly sized solar system. We offer full financing on all of our solar systems that allow you to enjoy all the benefits of solar ownership without the high upfront costs. And, unlike many of the large solar leasing companies operating in Sacramento, we vow never to over-solar you. Ever. While we are big advocates for a larger, staged approach to improving your home’s energy efficiency, we recognize the need to complete individual projects as well. We’re happy to take on these energy projects and work routinely with El Dorado Hills and Greater Sacramento residents to improve their home’s energy efficiency -- one project at a time. Call us anytime at 916-737-1107 or contact us here to talk about your energy efficiency needs. We provide no obligation, free estimates on Solar, AC, and Heating projects.